Babywearing is something that we did a bit when Isabella was a baby, after a very painful trip to Mothercare two days post birth. We didn't get a chance to look into the babywearing options and ended up buying a very simple baby carrier. However, this time around I really wanted to properly look into the babywearing options and what are the best positions/features for babies. Being a second time parent meant that I knew I'd need to have my hands free a lot more than when Isabella was born, after all there's a toddler to look after too! Babies are renowned for not liking being put down, so the option of babywearing seemed like the best route to go down. After doing a lot of reading up about babywearing the importance of achieving the correct positioning for baby became apparent. 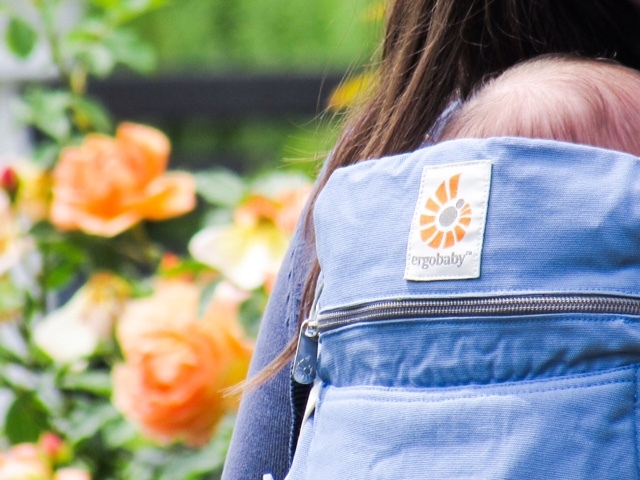 Ergobaby have an incredible range of sophisticated baby carriers, which have all been acknowledged as 'hip healthy' by the International Hip Dysplasia Institute. All Ergobaby products are comfortable, ergonomic and safe for baby's hips, making them the ideal option for parents wanting to babywear. 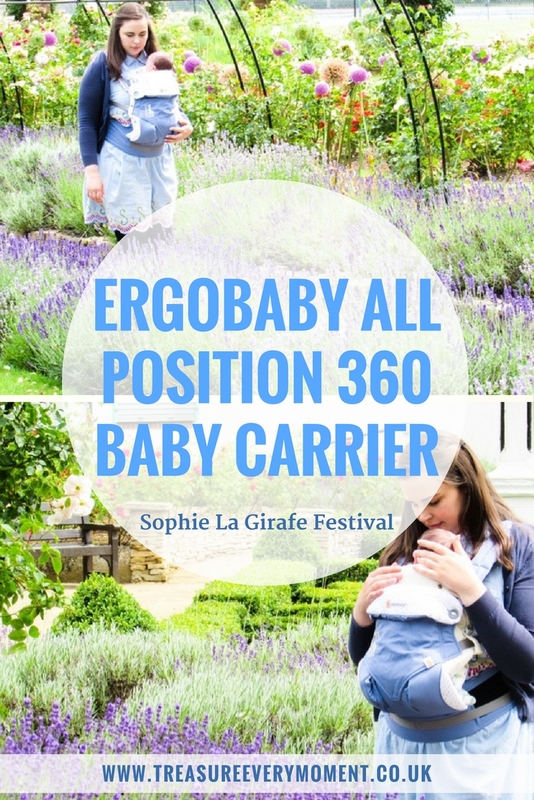 We've been using the Ergobaby 360 Baby Carrier All Carry Positions in Sophie La Girafe Festival* (£144.90) from the moment we bought Poppy home, all squishy and new. 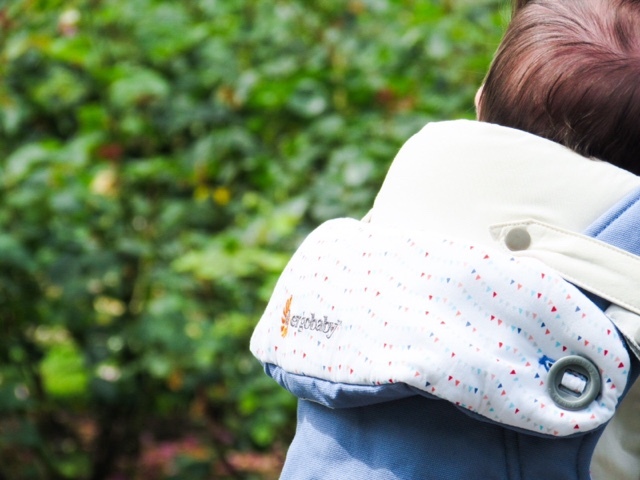 As she is so small we also currently need to use the Ergobaby Infant Insert in Organic Natural* (£29.90), which is designed to sit inside the 360 Baby Carrier (and some of their other baby carriers) and is for babies up to around 4 months old. To start with your baby sits on the pillow in the base of the insert, but when they are tall enough this can be removed to maintain that 'M' position that is good for their hips. We are still using the pillow with Poppy, though it won't be long before it needs to be removed - where is my little baby going?! 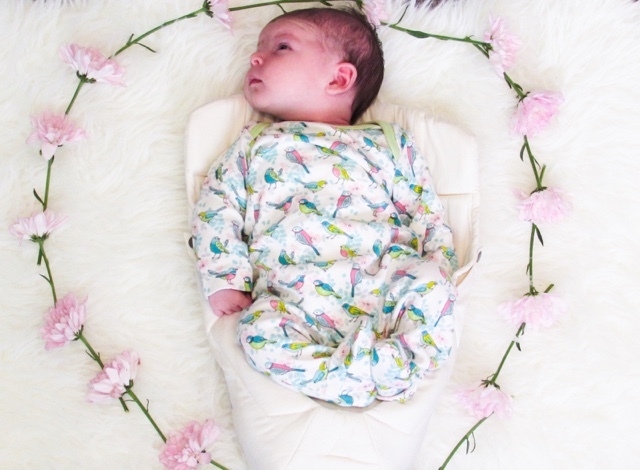 The insert is also made out of organic soft cotton, perfect for their precious skin and the fan shaped design ensures the air can flow so your baby doesn't get too hot. Recently I wrote a post about being converted to babywearing, which you can read here, and that all started when I began using the Ergobaby 360. It really has opened my eyes to a whole new world, one that is not only filled with close cuddles with your baby but also makes your life so much easier. The moment you become a parent doing anything with two hands is a luxury - trying to unscrew the lid to the milk is almost impossible, opening that packet of crisps is a distant memory and you can forget about being able to spread your own toast! Oh the simple things. That's not to mention throwing a toddler into the mix, who wants to play, be chased or play hide-and-seek all day long. To start with I found the idea of becoming a mummy to two very overwhelming (at 35 weeks pregnant I wrote this post about how I was feeling); I just couldn't get my head around how I was going to entertain Isabella while tending to the demanding needs of a newborn baby. 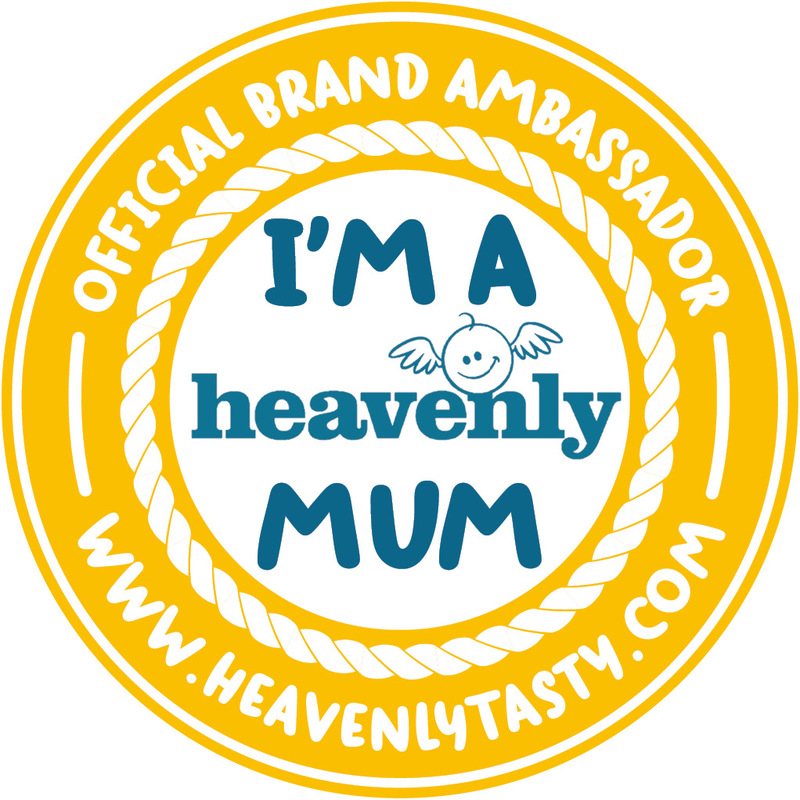 By the time Poppy arrived I felt more ready for the challenge, but my husband was on paternity leave making life with two children a lot easier. 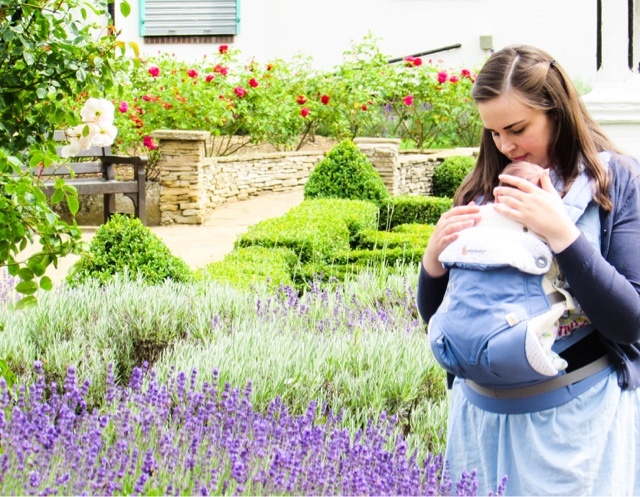 We enjoyed loads of days out wearing the Ergobaby 360; I would carry Poppy and my husband would pop Isabella in the back carrier. The perfect team! Two weeks of bliss passed and I was suddenly faced with looking after two children by myself, gulp. It was that first day by myself when I became a complete convert to babywearing and have been in love with it ever since. Every single day since I have worn Poppy, whether it be around the house or on days out. The first place I took the children was a farm pretty local to us, that way if it all went wrong we could be back home very quickly. But, much to my relief, we had a lovely day out seeing the animals, playing in the sandpit and having a picnic...all thanks to the Ergobaby 360! Poppy sat happily in the baby carrier, all snuggled up to me and sleeping away. When she did wake we didn't have to stop to settle her (not sure Isabella has the patience to sit still for my to feed Poppy, especially with all the distractions at the farm), I breastfed her on-the-go. Yes, you can breastfeeding while babywearing...a complete revelation to me! Wear a button down top or dress, like a shirt or shirt dress. This allows you to unbutton the top few buttons, latch your baby on and the shirt will cover the side of your chest area. I then use the privacy hood in the baby carrier and you aren't revealing yourself in any way. When I've worn nursing tops/dresses (with a pull up section) I've found that I do have a bit of breast showing on the side. This can be covered with a cardigan, but I prefer to wear a button down top/dress for ease. Turn your baby's head to the side when feeding, rather than facing directly at the breast. This allows them to breathe while feeding because their nostrils are free. If you're not careful it can be easy for your baby's nostrils to press up against your breast, making it very difficult for them to breathe. I check constantly that Poppy's nose is free for her to breathe and depending on her positioning sometimes I do prefer to press down my breast near her nose. This is mainly for reassurance, so that I know she can breathe freely. Use the privacy hood included in the 360, which also doubles up as a great way to protect them when it's sunny. When feeding I tend to clip one side up and keep the other side open, so I can keep an eye on Poppy and change sides when she's finished feeding on one side. I'm not sure how long I'll be able to breastfeed Poppy while babywearing, but for now it makes life with two children a lot easier and also takes a lot of my worry away. When she's in the 360 I know that I can settle her almost instantly when we're out and about, no need to worry about her screaming the place down or getting really upset. As we don't have a double pushchair every single time we take the children out we babywear Poppy and most of the time Isabella too. If I'm taking them out by myself then Isabella goes in the pushchair and I put Poppy in the baby carrier, that way they are both safe and happy. I have two hands free to push Isabella, am close to Poppy which helps to keep her settled and don't need to worry about anyone running off or getting upset. 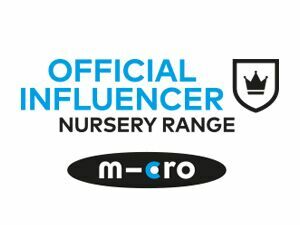 This works really well for us and an Ergobaby 360 is a lot more affordable than buying a double pushchair! The wide waistband and thick straps makes it so comfortable to wear too. Once Poppy is big enough for the Infant Insert to be removed she will still be able to be carried in the 360 until she is around 4 years old (or up to 33lbs). Also, when she's 5-6 months old we'll be able to make the most of the 360 aspect of this baby carrier as we'll be able to carry her forward facing, then on the hips and back. I can't wait to give these a go, but at the same time don't want my little baby to grow up too fast. In my eyes nothing beats your baby snuggling into your chest for warmth, reassurance and comfort, pure love. So, is there anything I would change with the Ergobaby 360? In short, yes. I would love to have somewhere to put things like my phone, keys, money etc. 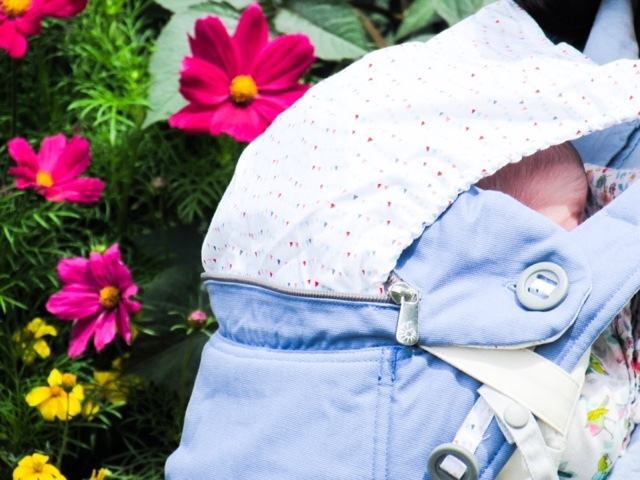 The straps are quite wide, which makes wearing a backpack while babywearing a bit tricky, so having somewhere to put bits and bobs would be ideal. I have been putting my phone/money in the zip section with the privacy hood in, but on sunny days when it needs to be over Poppy I can't do that. Ergobaby have already come up with a solution to this, the Omni 360 Baby Carrier, which is launching in September. It has a detachable pouch on the waistband that is ideal for your keys, phone, money etc. 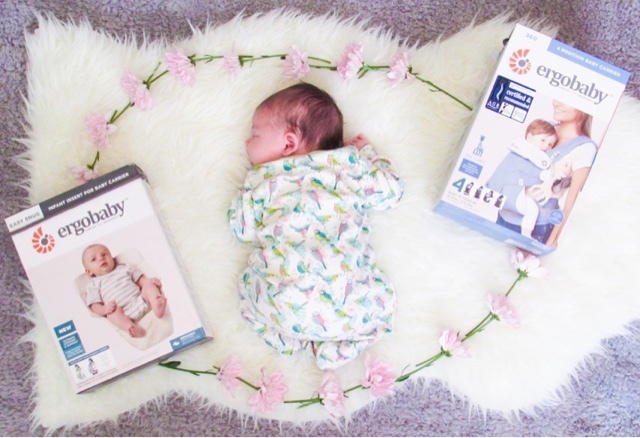 You also don't need an Infant Insert with the Omni 360, as it's newborn ready, making this the perfect choice if you're looking at buying one to use from 0+ months. Also, the Ergobaby 360 can be a bit tricky to get on initially. The clip across the top of your back can be hard to get done up when by yourself, certainly not impossible and it gets easier the more you do it but is worth considering. Ergobaby have videos on their YouTube channel for tips and tricks of how to put the carrier on with the back clip already clipped up, making it easier to put on if you can't stretch your arms round. 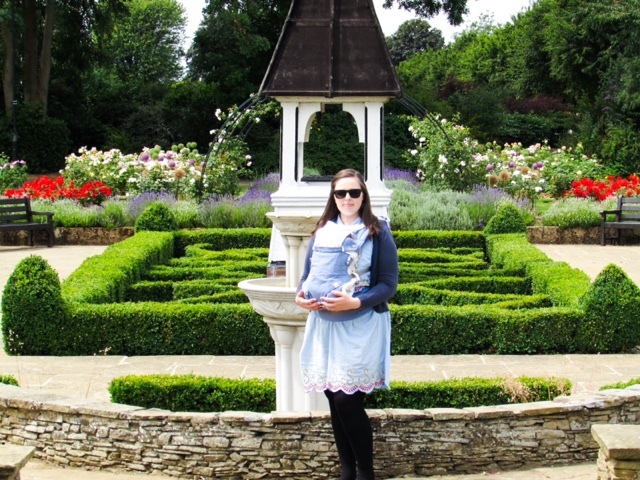 Overall, I would highly recommend the Ergobaby 360, it is available in a stylish range of patterns, ideal for breastfeeding on-the-go and is so safe, comfortable and supportive for babies/toddlers alike. 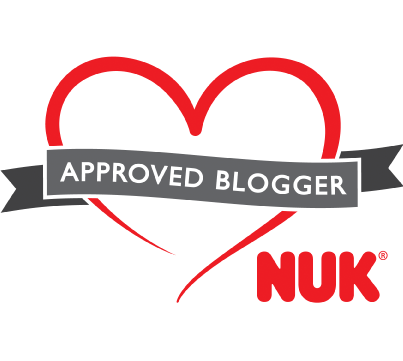 What is your favourite aspect of babywearing? I'm a great believer in baby wearing. Mine are grown up now but I used a sling with both and like you say it's so important with the second. I didn't have any choice in what to buy, there was one style and it was ok until they got heavy! This looks fantastic and to be able to feed without getting them out is a fantastic idea. This looks so versatile, and I love your beautiful photos! 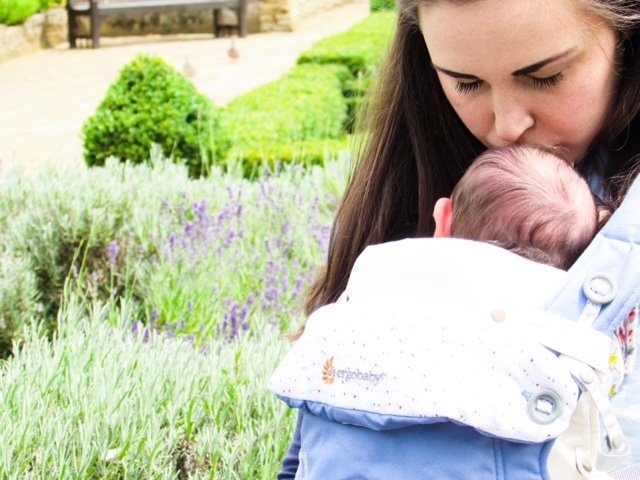 I baby wore religiously with our daughter I think it has so many benefits but finding the right carrier is so important I have heard great things about Ergobaby as this post really reflects - gorgeous pics! That looks like a great carrier! 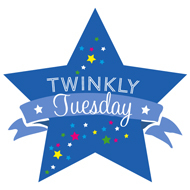 I loved baby wearing but I used wraps instead, the children all loved being cocooned! Neither of mine took to baby wearing ☹️ But this product looks great. Love the tips too. Very handy. We love our ErgoBaby! 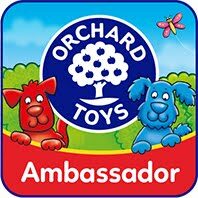 We use it with our (almost 2 year old) and it will be coming with us on our travels next year! So handy for an adventurous trip when we will be doing lots of moving about and hiking! So great that you can feed in it! The Ergo is one of our favourite carriers, so comfortable to wear and easy to get used to. 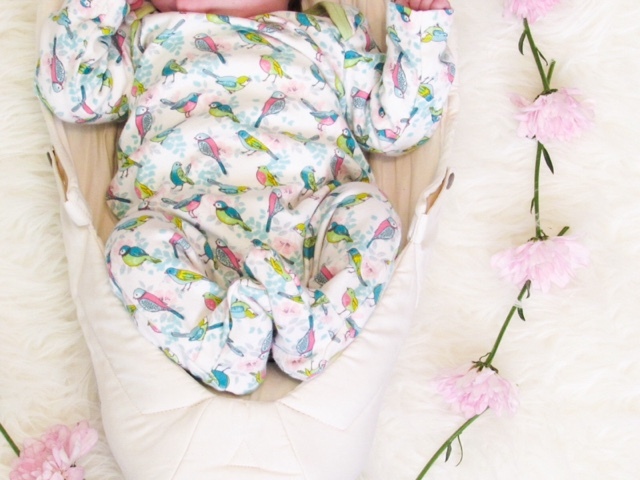 Love your little one's birdie Babygro too! Those photos are gorgeous! Loved the review too - product sounds great! I like the look of this baby carrier. Looks very comfy and gorgeous. This looks fantastic and your photographs are beautiful too! 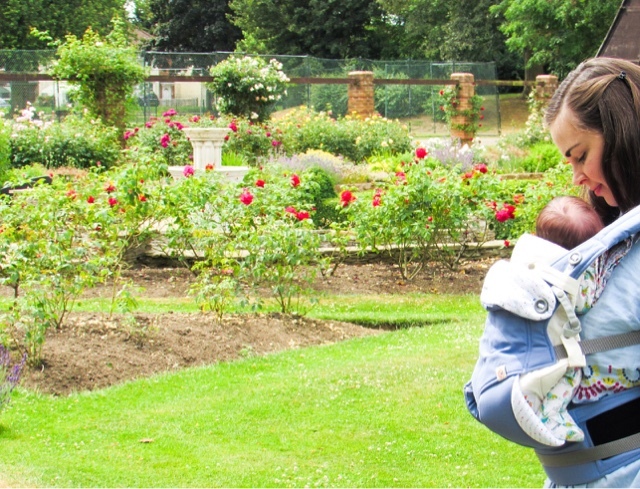 Lovely photos, i love babywearing with my babies. So nice to have them snuggled up close to you.